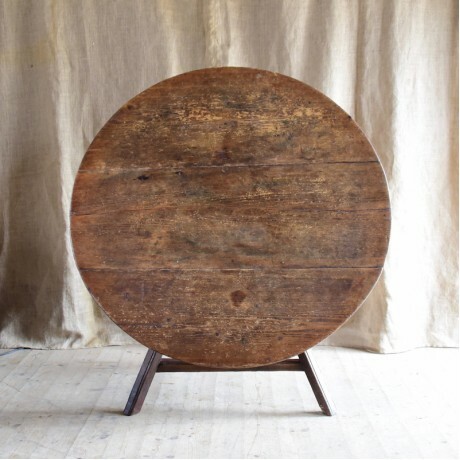 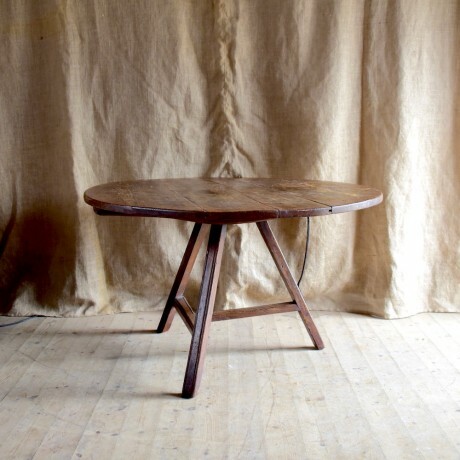 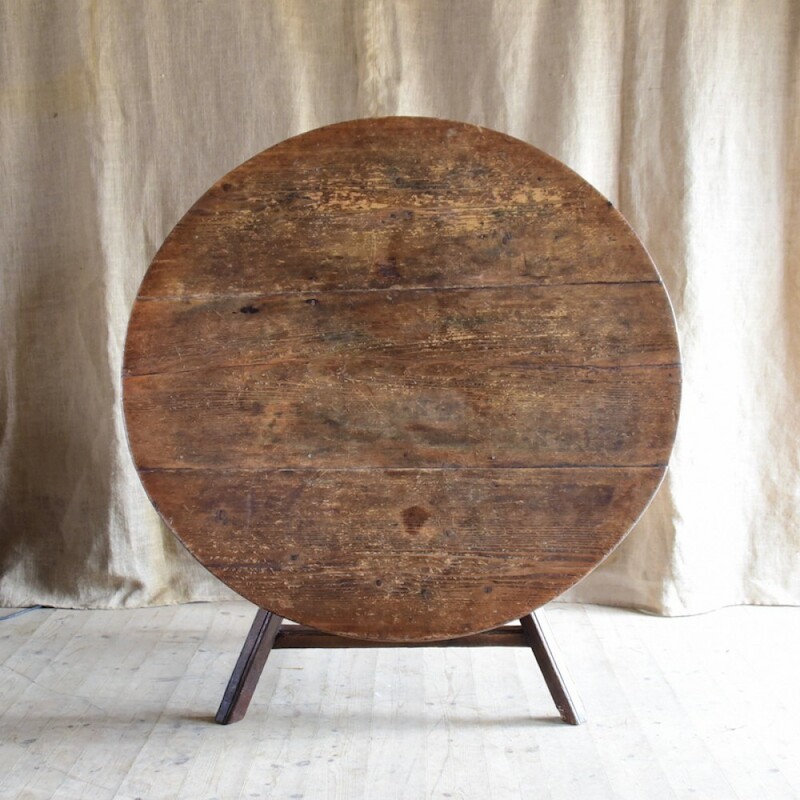 Large, round, oak Spanish table, 19thC. 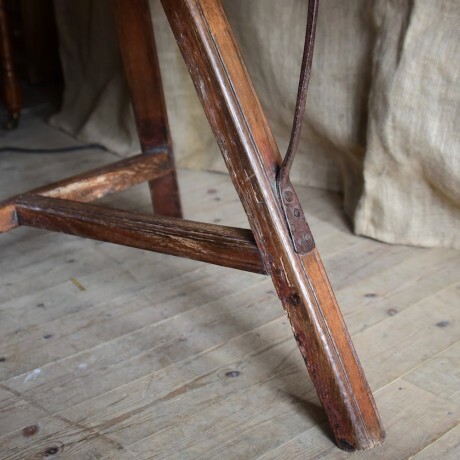 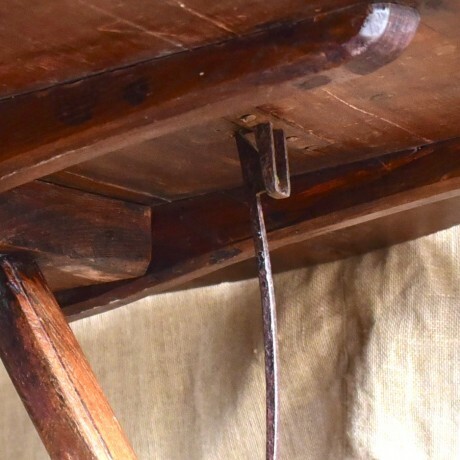 The top tilts to rest in a diagonal slant against two of the legs and there is a curved metal bar ending in a catch that attaches itself to the top when flat. 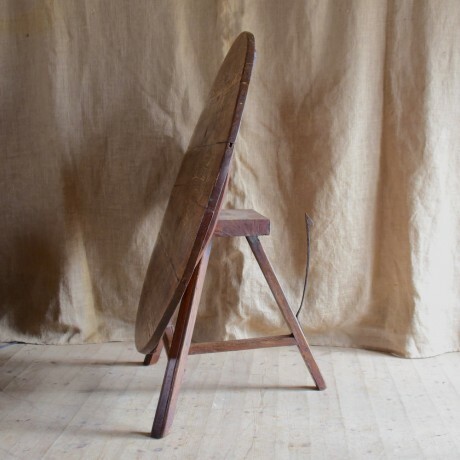 At 69cm high it is quite low, presumably intentionally.